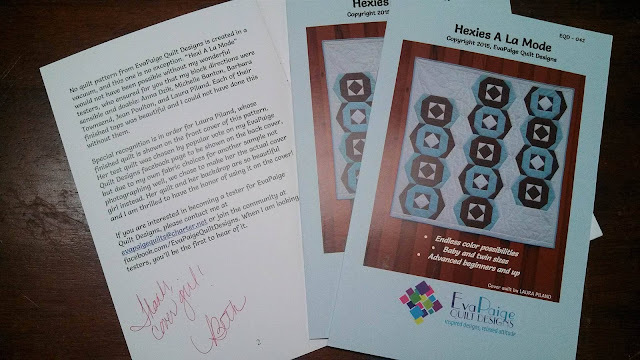 Beth has been very encouraging and helpful as I've started writing my own patterns. I recently heard a quote that is very fitting: "Supporting another's success won't ever dampen yours." Beth has been quick to offer up advice and support. I am so grateful for her friendship - even though we've never met in person! 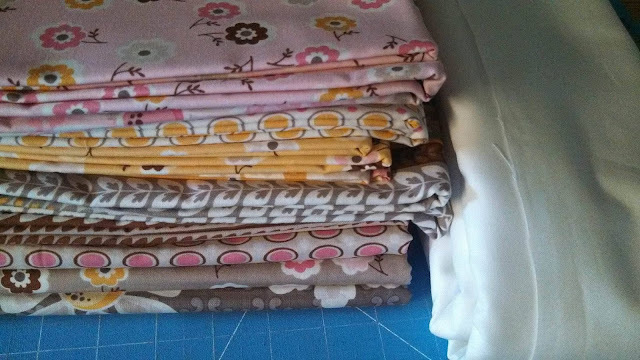 I used Daisy Cottage fabric by Lori Holt for Riley Blake Designs for the main print fabrics and binding. 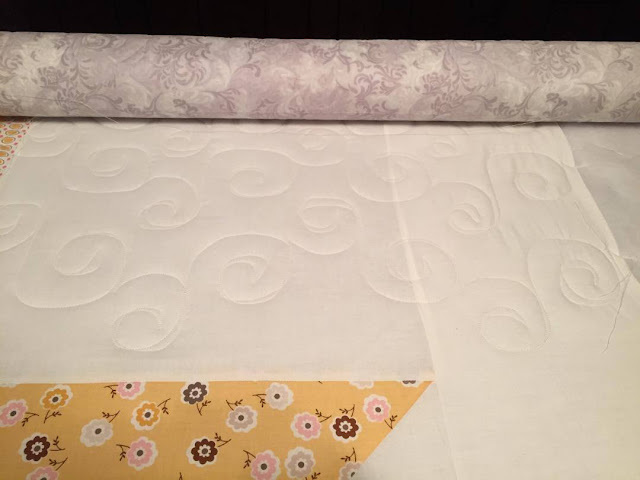 The backing is an extra wide quilt back I got at Hancock's of Paducah. 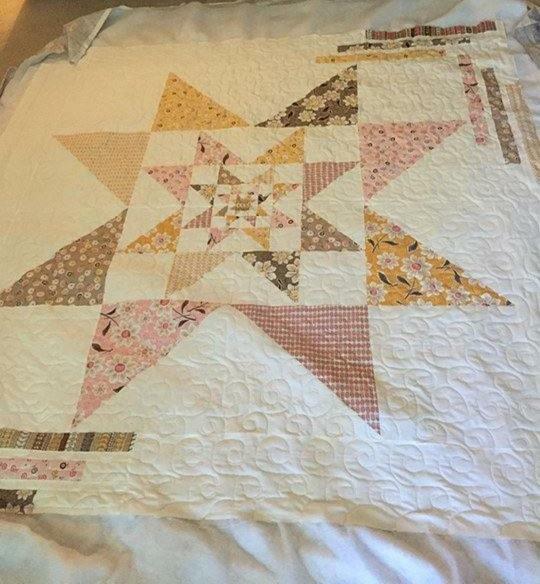 My mom quilted it on her Gammil longarm. The pantograph is "Twine" from Urban Elementz (available here). 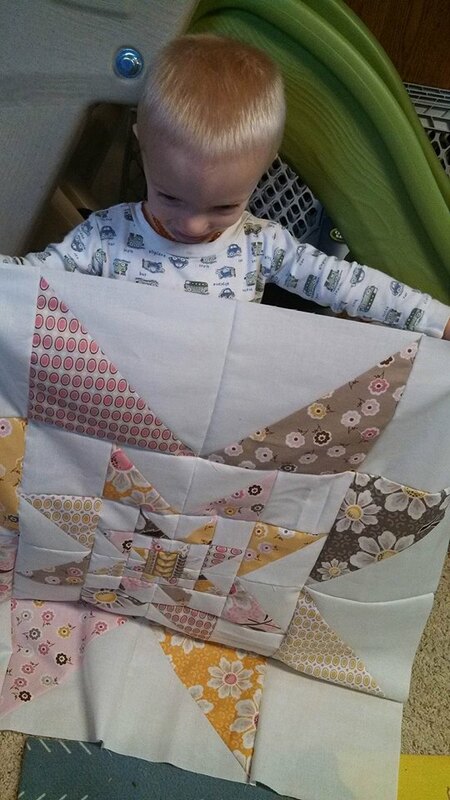 This is my 26th quilt finish for the year! 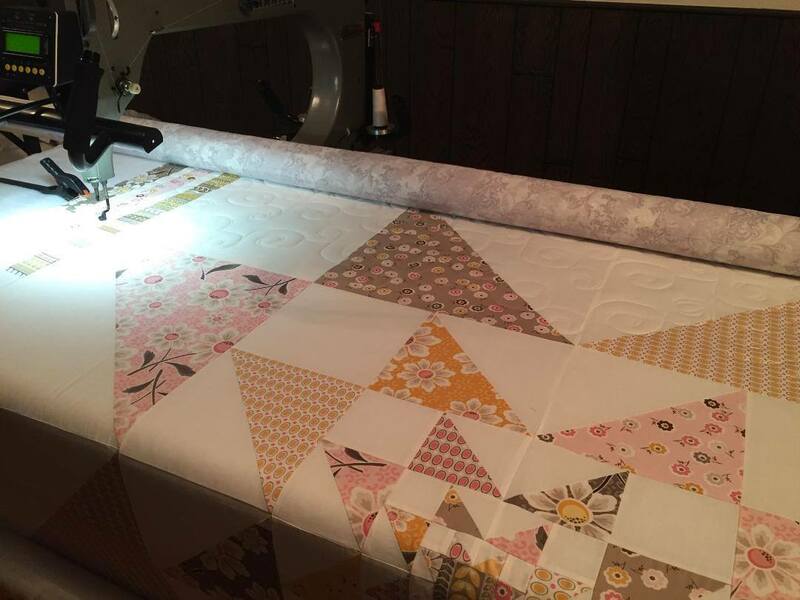 I'm well on my way to hitting my goal of 16 quilts in 2016, don't you think?! If you get a chance, go say hello to Beth on her blog or Facebook page! Her personality comes through her writing very well! It won't be long before you "know" her too! 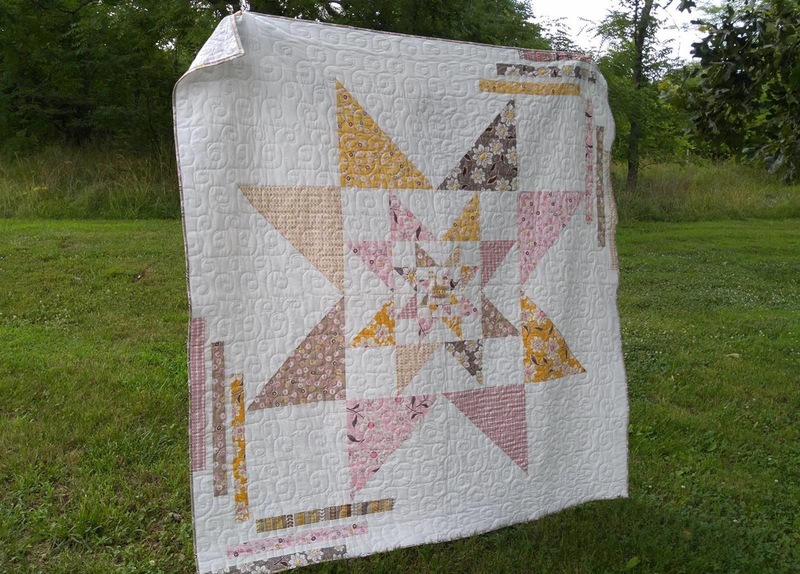 Here is part of the description she uses for the pattern: "After I made a triple star block for a swap several years ago, I became obsessed with seeing just how many stars I could nest in a quilt, so one day I started nesting stars. 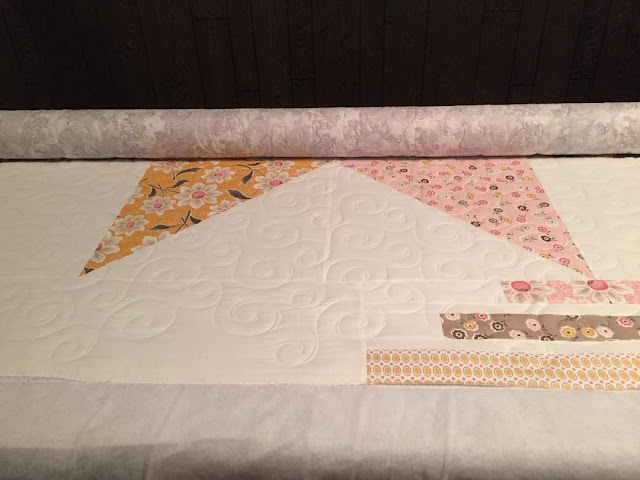 I was kind of shocked and disappointed when five rounds was the largest quilt I felt comfortable with, as I think a sixth round might have buried me in the studio for all eternity, but the effect is pretty stunning. 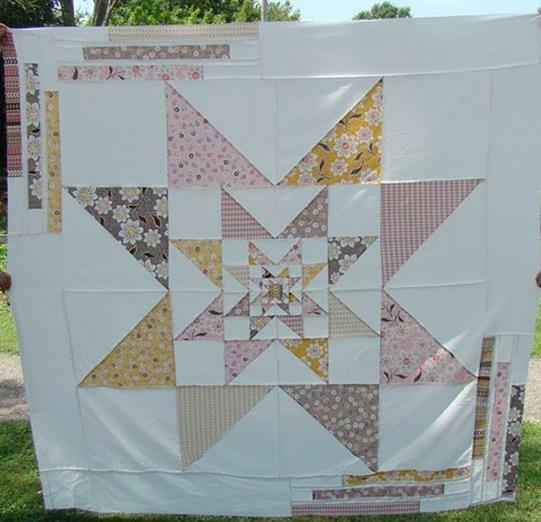 The quilting was done in pebbles, which almost killed me, and cover photography stealthily taken on a side street of my town while I prayed no cops would arrest me for thumbtack marks in the door of an antique schoolhouse. 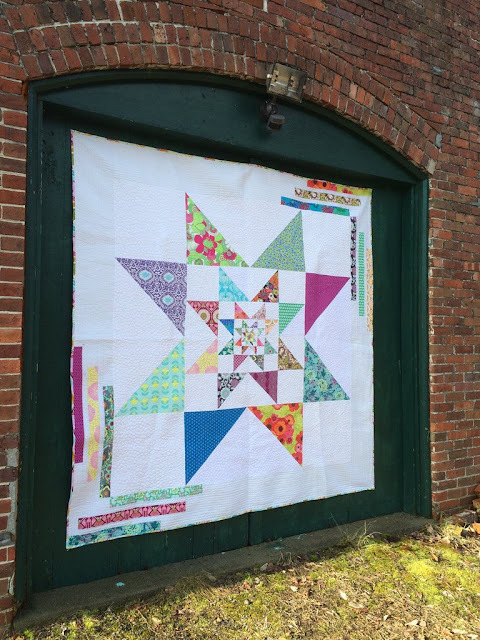 Every quilt pattern has a little risk to the designer, and with this one it was my sanity and arrest record, but thankfully both remained clear at the end of the process." The Scintillating Stars pattern is available on Beth's website here and also on Craftsy. You might even find one in your local quilt shop! I love seeing how the same pattern looks in different fabrics! Beth's bright scrappy version has a much different personality than my version! 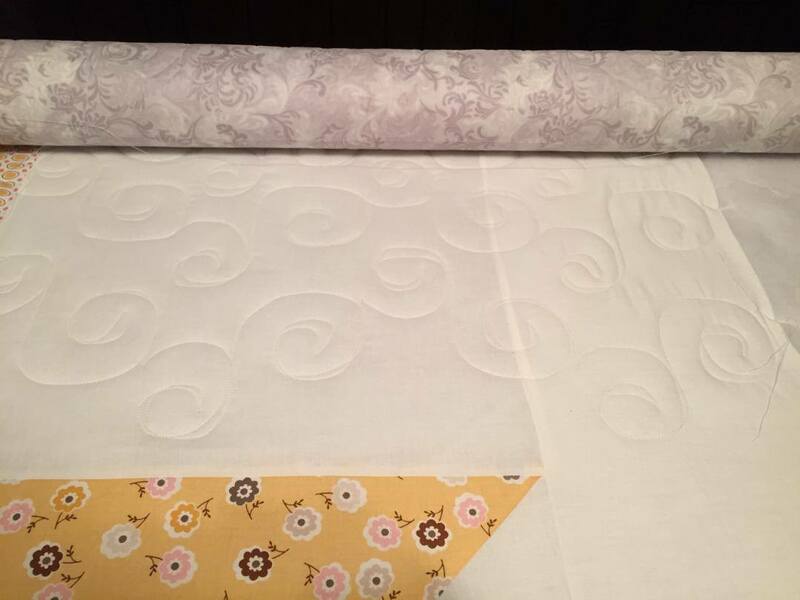 Both of our quilts probably represent us very well!